We are the Lake Minnetonka Area window cleaning experts! We work in the entire lake area daily putting a crystal clear shine to everyones windows. We specialize in cleaning windows inside, outside, cleaning screens, and sills. We are not a quick in and out window washing compnay. We take our time with each and every window not missing a thing making sure our customers are extreemly happy with our work. For a free estimate, give us a call! 612-723-7155 We are a high end, high quality, affordable window cleaning company. Many times people have us give them estimates for pressure washing and gutter cleaning on their homes. 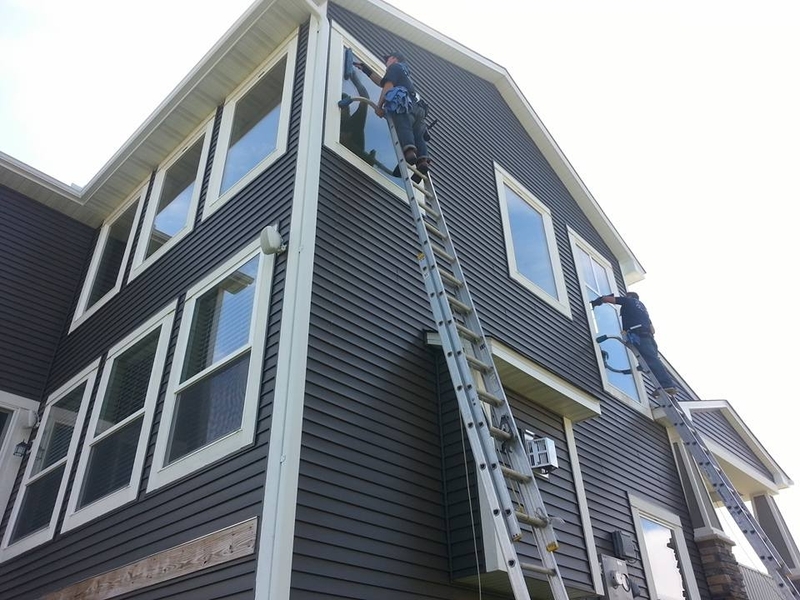 Whether you need your siding cleaned up, decks, sidewalks, or decks, we have you covered. Need your gutters cleaned? No house is too big or small, tall or short for us. Give us a try!